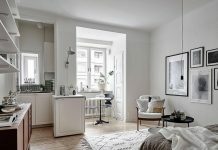 Roohome.com – Nowadays, the Scandinavian design is frequently enthused by modern people in the aim to create their dream apartment. Choosing this design will not disappoint you because its design has a particular detail in every design. 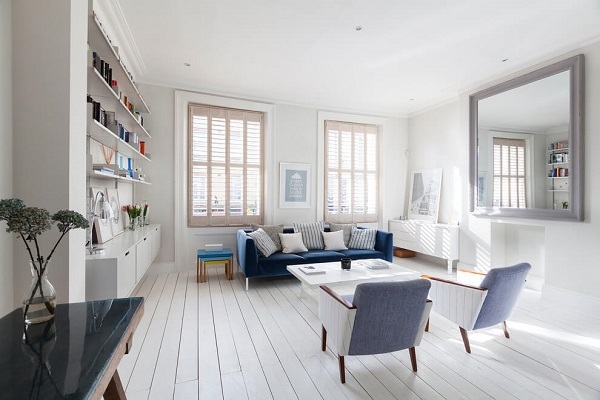 Besides that, Scandinavian is suitable in any size of home-living or apartment, for example, a modest apartment. By using blue accent into the design, your apartment will look modern and stylish. Check this one! The first area is a living room where is filled with blue accent around of it. Domus Nova as the designer, trust in bright lightning from outside the window. 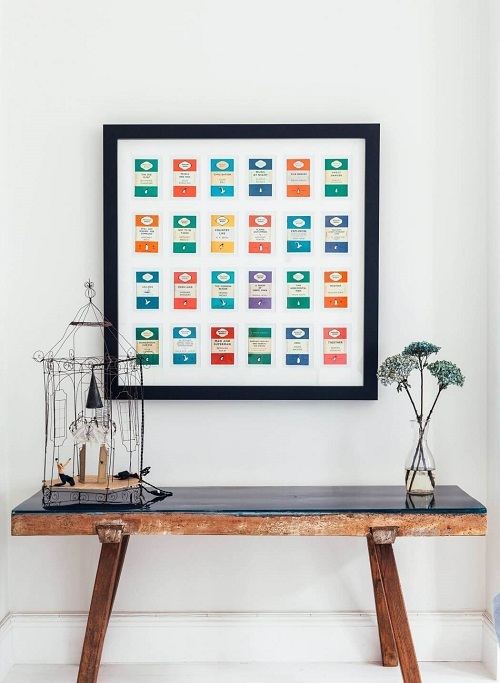 Besides that, a white color is chosen by the designer to be painted for a whole wall. Therefore, a clean appearance can be spotted in this area. 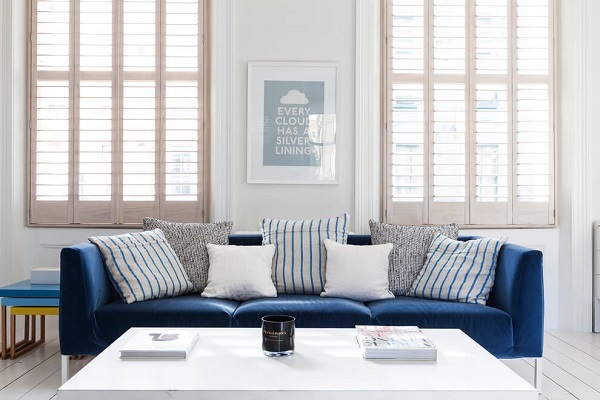 For blue accent, you can see from the furniture such as sofas and lines pattern on the pillows. The designer is placing and arranging the interior well along with the furniture. 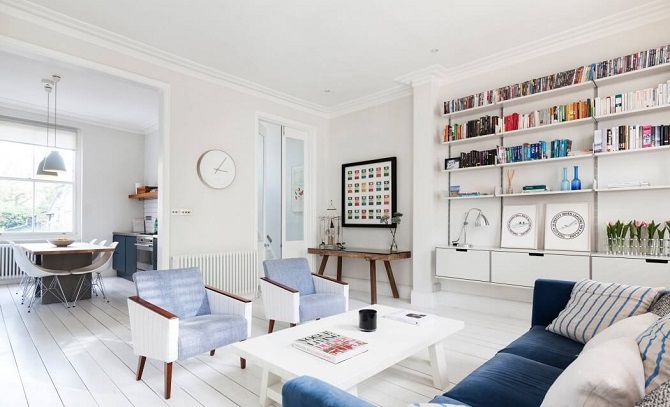 Domus Nova uses vintage furniture which is suitable for Scandinavian design. 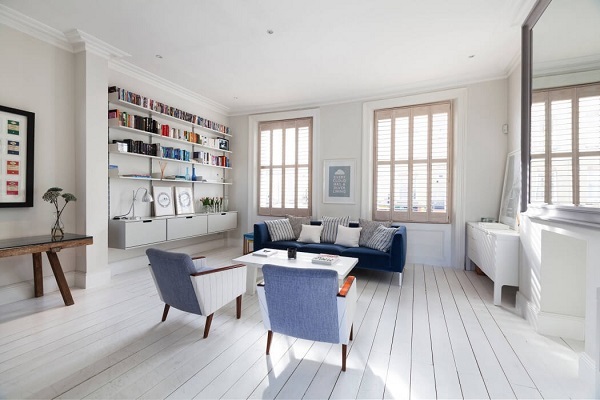 The designer adds white book shelves on the wall while hangs up a large mirror on the wall as well. 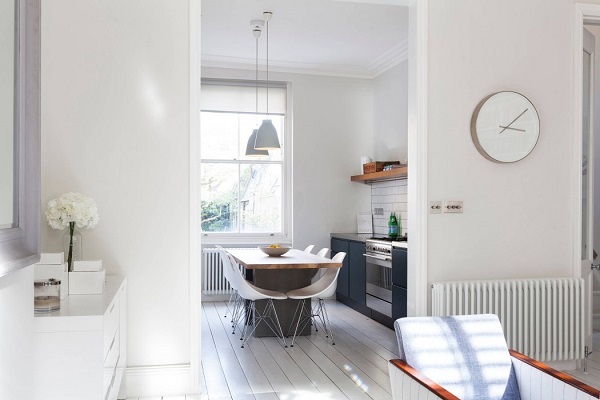 There is a white sideboard which is positioned in the corner of this area in the aim to decorate the area to be lively. Just because the main concept of this design is Scandinavian with blue accent, Domus Nova wants to show you the shade of blue decoration itself. The first one is a dark blue sofa which is filled with blue lines pattern on the pillows. The designer is very brilliant in choosing a perfect furniture to decorate the room. Beside of the sofa, there is a pile of the blue table in order to beautify the decoration. Move the another decoration there is a blue palette which is placed in other spaces in this room. 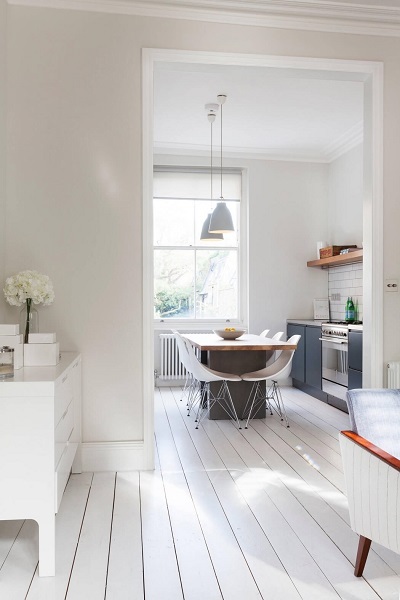 Move to the kitchen which is applied with the white accent for the whole area. 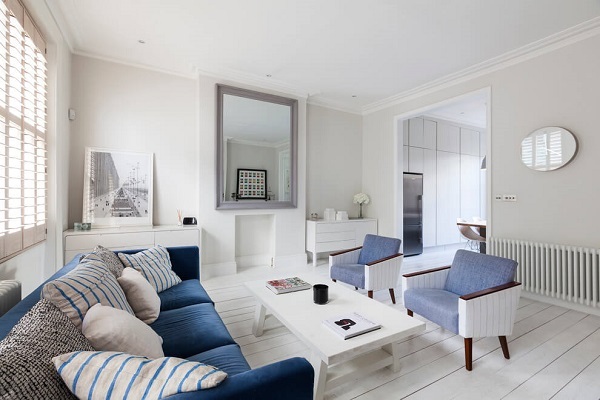 Scandinavian design is still be chosen by the designer without any blue accents inside of it. Although you have a modest space for kitchen, it does not mean you do not have a chance to place dining table in the middle of the kitchen. Domus Nova uses a minimalist kitchen set and dining table which is made of wood. 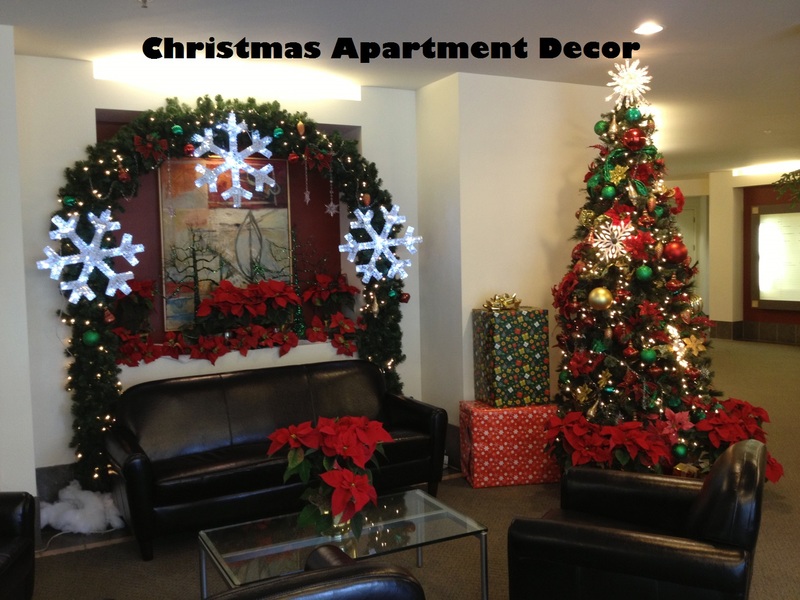 This is the last area of a whole apartment. But firstly, take a look how the atmosphere of a bedroom is. This area is as bright as kitchen the previous one because there is no blue accent inside of it. The designer functions the windows inside the room to produce a bright lightning as replacing a chandelier in the ceiling. 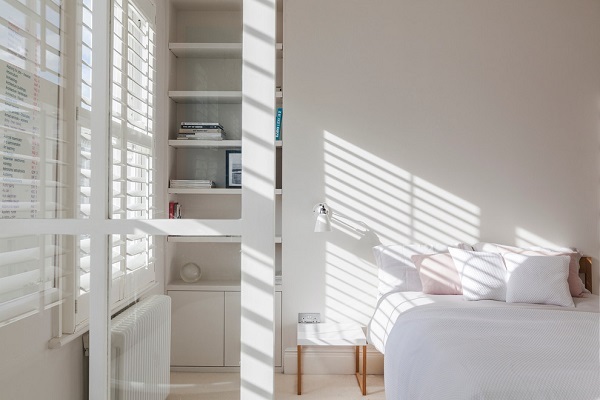 A white book shelf is combined with white bedstead beside of it. 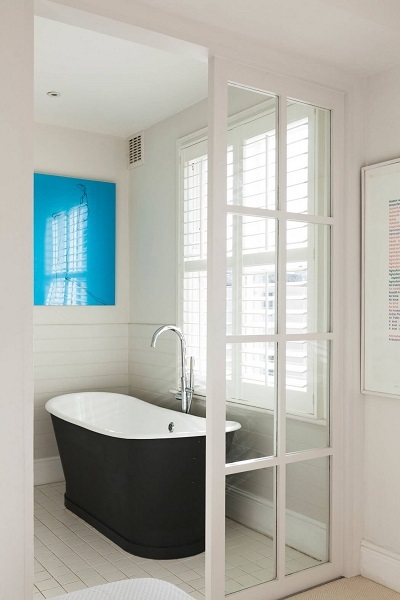 Afterward, the bathroom is designed modern and stylish by placing a minimalist bathtub. These different rooms look clean and bright, right? 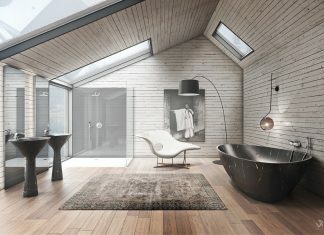 What do you think about this Scandinavian design above? The design is applied in any part of rooms which are suitable for Scandinavian design. 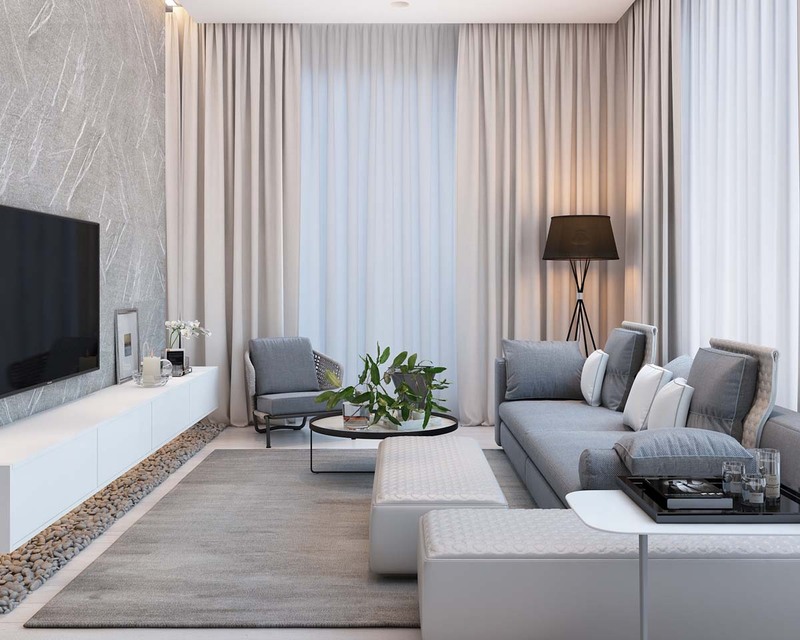 If you are interested, you can start trying this masterpiece by Domus Nova to create your dream apartment. How to Choose the Best Worktops for Kitchens?